How many panels would you like to print? How many colours are in your second design? The Fibrestorm Value umbrella is an affordable lightweight product which is a perfect promotional item to have for your company, especially if you need to stay within a budget. 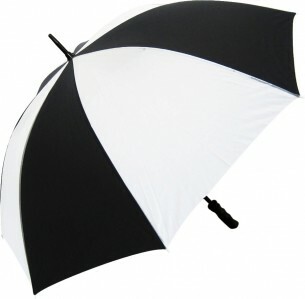 1.3 metres in diameter when open so will keep you or your clients dry and away from the wind on those very wet days. Fibreglass ribs and stem means you'll be safe in gusty weather. This product comes in limited colours but has many options for brand printing; panels, tie wrap and sleeve. Your logo can be screen printed or dye sublimated if it has gradients or over laps. Should you require further information as to what this means, do leave your email address on the chat on the right-hand side and we will be happy to advise.